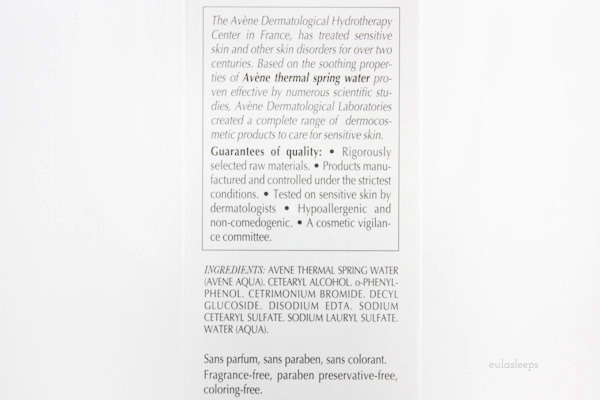 Ahhh, Eau Thermale Avène Extremely Gentle Cleanser. I had such high hopes for you. Lisa Eldridge sang your praises. "Great for really getting the makeup off," she said. The Philippine blogosphere was ecstatic when you came to town. I rushed to my nearest Mercury Drug, had the saleslady unlock you from your glass coffer, and hurried home with you safely in my possession. 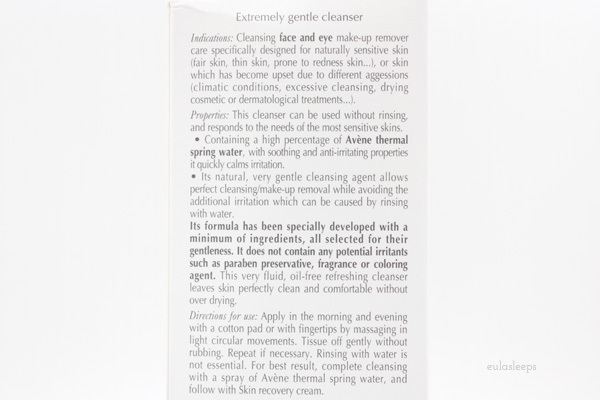 This cleanser is very gentle. I imagine those with sensitive skin, rosacea, or extremely dry or mature skin will love it. Also those whose skin is irritated by tap water. My mother's dermatologist recommended it for her. It feels quite lovely to put on. It actually smells like frickin thermal spring water. The gel-like texture will coddle your face and transport you to an idyllic commune in southern France. Well, no. Not really. But it does feel nice and cool on the face, and the smell is absolutely relaxing. You're making me fall for you Avène. And then I had to take it off, which is when things went sour between us. In purchasing this I forgot that I hate rubbing my face with cotton or tissue. Every swipe reminded me that my skin is losing its elasticity bit by bit. Multiply this by five, which is the number of passes I had to make before the cotton came away clean. No matter how gentle I did it, by the end my mug felt sagged out and traumatized. So, okay. It's not for makeup removal. -1 for Ms. Eldridge. I tried it as a morning cleanser. 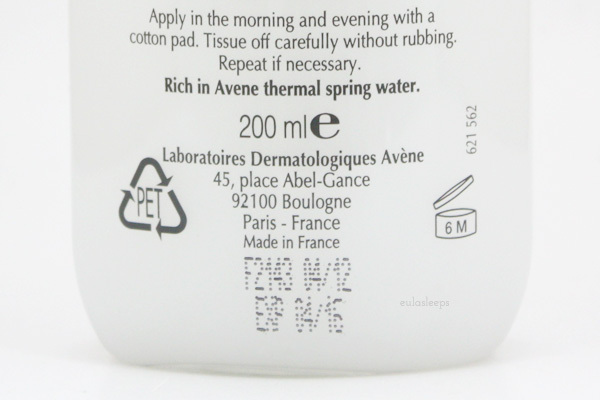 Oh Avène Extremely Gentle Cleanser, I so wanted us to work. Especially with your considerable price tag. But my face still felt unclean afterwards. It also oiled up faster. After two weeks, I gave up. 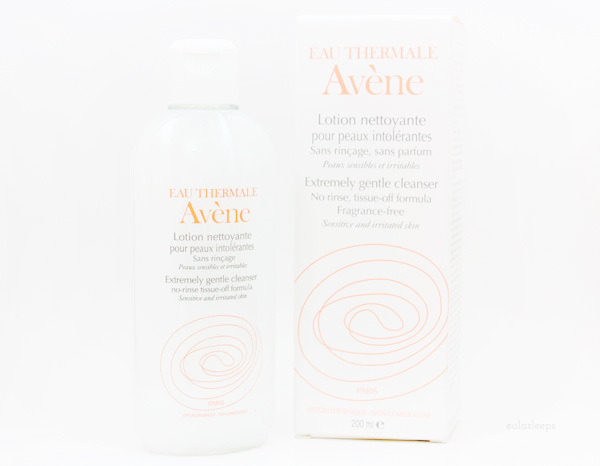 Avène Extremely Gentle Cleanser is exactly that. Extremely gentle. Too gentle for my taste. My fault, really. For picking something not suited to my needs. Verdict: Stashed. To be given away soon as I get back home. Good for sensitive and mature skin. Good for those allergic to soap and tap water. Insufficient cleanser for oily-combination skin. 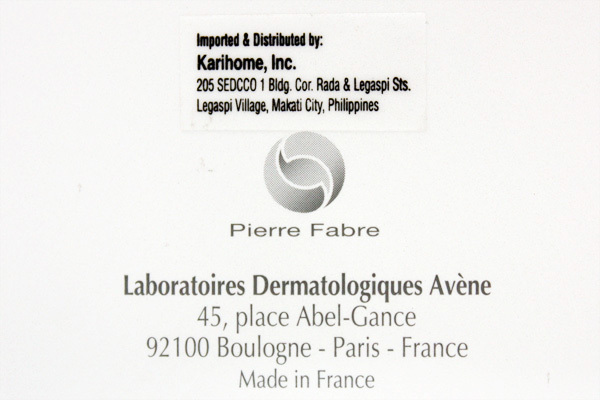 Eau Thermale Avène Extremely Gentle Cleanser is available at select Mercury Drugstores for PhP 1,200.